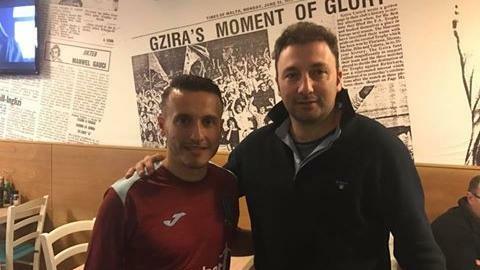 Andrew Cohen will continue the 2016-17 season with Gżira United after he agreed to join the Premier League strugglers on a two-and-a-half year contract. Ħamrun Spartans and Sliema Wanderers were also both interested in signing the Hibernians striker who, however, opted to join the Maroons. Cohen is expected to make his debut for Gżira against Birkirkara on Sunday at the National Stadium. Meanwhile, Hibernians moved quickly to fill the void left by Cohen when they re-signed Brazilian Gilmar. The robust attacking midfielder arrives on loan from Naxxar Lions after his spell with Saudi Arabia club Al Raed came to an end last month. Hibernians have also parted ways with Renan Telles who joined Għajnsielem on loan until the end of the season.